World Social Science Fellows gather on the steps of Te Kuratini Marae on Massey University’s Wellington campus. More than 20 early career scientists are in New Zealand this week to develop new perspectives across multiple disciplines on the ways people interpret and respond to environmental risk. The World Social Science Fellows Seminar brings together 25 scientists from all over the world following their selection in a competitive process to attend. It is being is co-hosted by the Joint Centre for Disaster Research on Massey University’s Wellington campus and the University of Canterbury in Christchurch. Guest speakers at the seminar include centre senior research fellow Dr Christine Kenney who will give a lecture on ‘Māori Disaster management: An essential ‘gaze’ on risk reduction in Aotearoa’ Other guest lectures include an address by Professor of Psychology Richard Eiser from the University of Sheffield who will explore if an how a recently published framework for response to natural hazards can be applied across scientific disciplines and within different cultures. 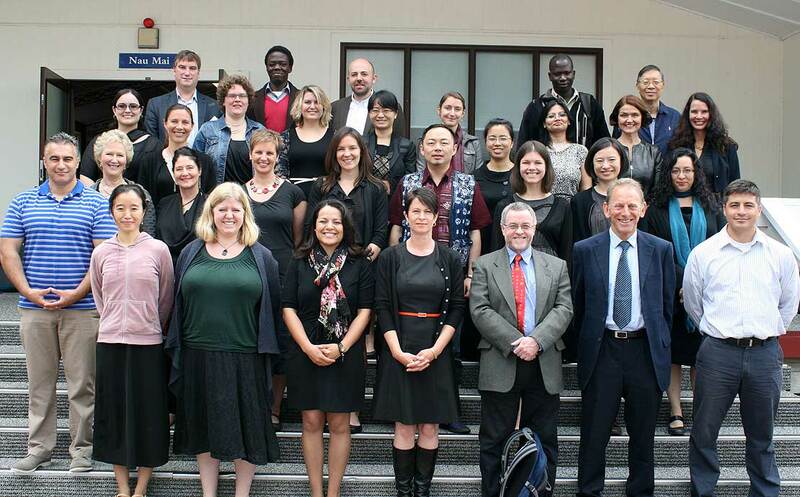 The seminar is co-sponsored by the World Social Science Fellows programme of the International Social Science Council (ISCC); the Risk Interpretation and Action working group of the Integrated Research on Disaster Risk (IRDR) programme; the IRDR International Centre of Excellence, Taipei; United Nations International Short Term Advisory Resources (UNISTAR); the international START Secretariat and the Royal Society of New Zealand.